Having a Baby Sleep changes your life in more ways than you could have ever imagined. There is always more to what you read and understand that every child is different. There are however certain basics about childcare that are applicable to all kids. Put clearly, the times your kid sleeps are the times you may rest or do any kind of productive work. Hence, it becomes important to understand and gather as much information as possible about your baby’s sleep patterns. At 10 months, your baby will usually sleep for 14-16 hours a day. Since sleep is an integral and important part of growing up, it is crucial for you as a parent to know all about the sleep patterns. Any kind of changes in that pattern could indicate an underlying problem. Babies usually can sleep through the night without waking up for a feed. But it is important to wake up your baby and feed her around 4 am or at least try once. This will ensure that your baby sleeps a little longer into the day. There Is Always A Surprise! If you find that your baby is not sleeping at night properly, it is important to get her enough exercise and work during the day. Your child would be crawling and starting to stretch her legs to try and walk. Get her to work her muscles; let her play as much as possible. This would tire your baby out and ensure that she sleeps straight through the night. If your baby sleeps at odd times and wakes up at night, it is important to know what tires your darling out and puts her to sleep through the night. Babies tend to change their sleep patterns as they grow, usually at 10 months of age, they will sleep two to three times a day. Also, try to settle your baby into a routine pattern, as it would also reduce her anxiety. 1. Ensure that you follow a routine for your baby. Make sure you stick to it! The routine is crucial for your baby to be well rested and then fully charged up to play when she wakes up. Routine care and sleep are paramount to your baby’s growth and development. 2. Know what is likely to make your child sleep right before bedtime. Some babies love to take a bath and get a sound sleep at night; others might love to play and then fall asleep. Know that the timing of each daily activity can affect your 10-month-old baby sleep pattern. 3. Last, but not the least, let your baby be on her own for some time during the day and gradually train her to sleep on her own. This is important so that she does not reach out for the comfort of someone to fall back to sleep again if she wakes up in the middle of the night. 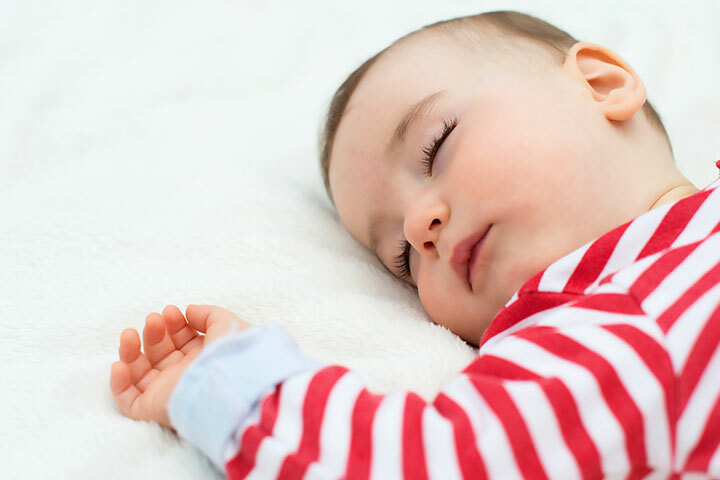 While there are certainly established routines for a 10-month-old baby’s sleep patterns and how to take care of them, it is impossible to get to take care of your baby by book knowledge alone. You also would need to pay attention to your darling. Understand and establish your baby’s patterns and how she behaves after each activity. Adapt those for a healthier and more productive routine for your lovely baby. As is always, mothers know best! At times, let your gut and instinct guide you when it comes to your little one. hope you liked our post on 10 months old baby sleep schedule. Do share with us your secrets of helping your baby get the best night’s sleep!